I’m planning some serious changes to this blog over the next couple of weeks. I want to combine ZackRiesland.com and TheRieslands.com into one blog, and move it to a private host, where I’ll have a lot more control over how it looks and what I can display. I know there are a bazillion wordpress templates that offer different features and such, and it can be kind of overwhelming trying to choose one. Steph is strongly against a white background because she says it hurts her eyes. Do you agree? Do you think 2-column or 3-column is easier on the eyes? Do you know of any good themes or plugins I should know about? Check out the new Leeland band blog! Click the image above, or just click here! 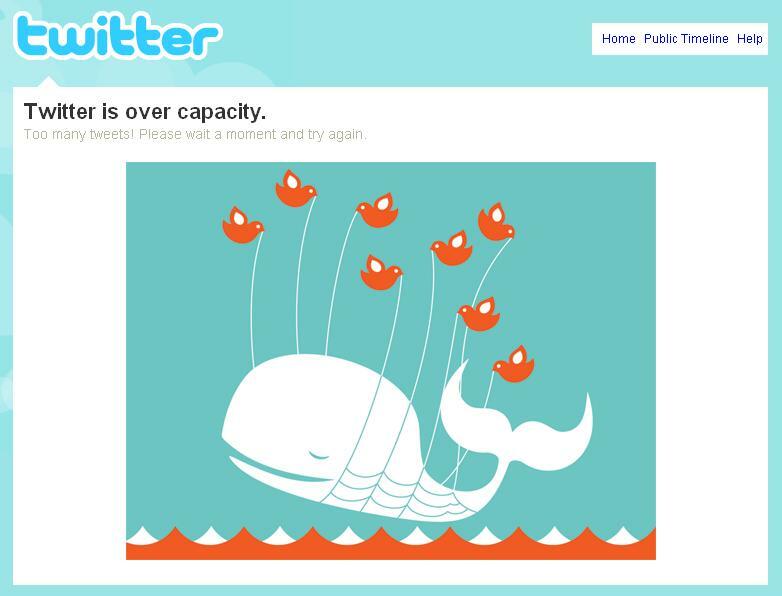 Am I the only one who gets this like 3 out of 4 times I try to do something on twitter? I discovered Voddie Baucham‘s blog today. I like how it’s a home-made ‘made on a mac’ iWeb special. I appreciate it when guys who are in ‘full-time’ ministry don’t waste ministry money to look slick. He has an interesting post about Barack Obama. The title of the post says it all: “Barack Obama: A Wolf In Sheep’s Clothing“. Voddie has always been right on in my experience. He’s a very wise man who doesn’t point fingers lightly. For Stephen and Mike D.